When Kent Whitley talks about environmental issues, he doesn’t start with words like “sustainability” or terms like “carbon footprint." “It’s so hard to talk with these big words. You have to go to the dictionary,” he says with a laugh. Instead he brings the issues down to earth, to air, and to water. 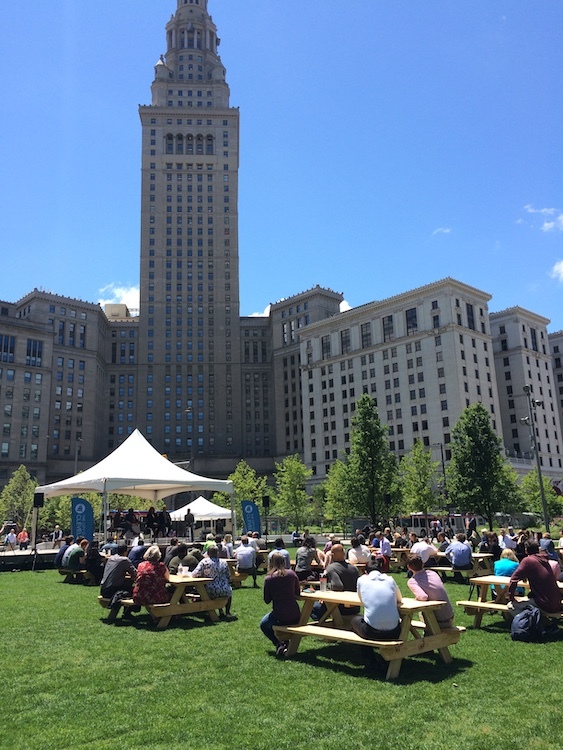 For the Love of Cleveland event on Public Square with Jacquie GillonThat kind of bluntness is how Whitley and others plan to convince African Americans that they have a stake in environmental policy. And these issues certainly do affect them—a study released last February by the Environmental Protection Agency (EPA) found that black people had a 54 percent higher chance of breathing air pollution than the overall population, and a recent University of Minnesota study corroborated this reality with similar findings. The members of Black Environmental Leaders represent 20 organizations, including Western Reserve Land Conservancy (WRLC), Alliance for the Great Lakes, Environmental Health Watch, and The Environmental Justice Committee. The group isn’t so much interested in building a new organization, says co-chair Jacqueline Gillon, as they are in educating the community and building awareness. 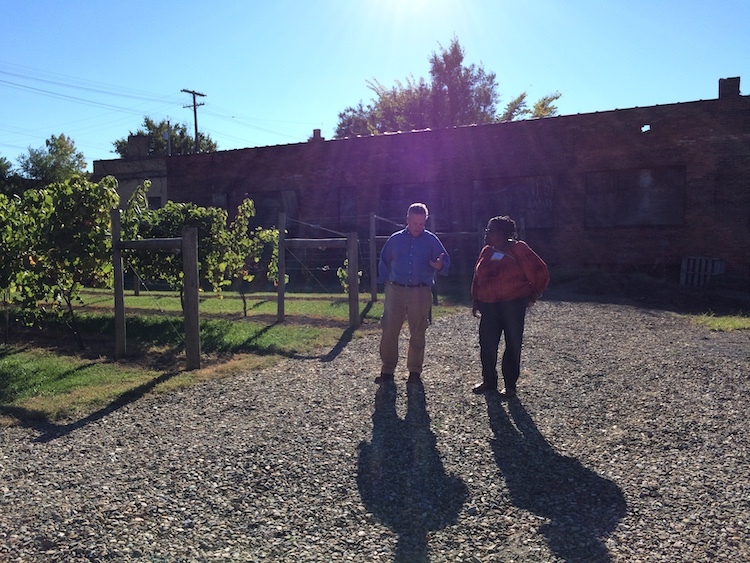 Jacquie Gillon on a placemaking tour with the Ohio Land Bank ConferenceAs the community engagement specialist for Western Reserve Land Conservancy, Gillon feels folks have “lost their relationship to the land” and hopes to help restore it via Black Environmental Leaders. “They forget that food comes out of the ground [and] that trees are not just leaves you have to pick up. They provide oxygen and beauty that are a necessity to our health,” Gillon says. A major hurdle to outreach, though, is the existing lack of diversity in the movement. According to Green 2.0's analysis of tax returns from the top 40 environmental organizations, the findings were that the leadership and staff at all of them are overwhelmingly white. Nevertheless, historic inequities mean African Americans and other people of color have a stake in environmental issues. Gillon points to redlining as a reason low-income African Americans live in neighborhoods ”that were intentionally disinvested,” she says, and are often in close proximity to polluters. Redlining used the racial or ethnic makeup of a neighborhood to deny its residents mortgages and other services. Although the practice became illegal in the 60s, its consequences continue. In many cases, neighborhoods redlined in the 1930s and early 1940s remain poverty-stricken—but the education efforts won’t talk about redlining. Instead, Black Environmental Leaders will focus on the consequences. Whitley says they’ll point to children diagnosed with asthma and attention hyperactivity deficit disorder, conditions which are exacerbated by living in lead-poisoned homes. It's an issue that's certainly at the surface in Cleveland—with more than a quarter of the city's kindergartners displaying a history of lead poisoning (according to researchers at the Center on Urban Poverty and Community Development at Case Western Reserve University). Gillon and Whitley speaking at The City Club's forum on environmental diversityWhile it’s a lot to take on, Black Environmental Leaders is standing on a legacy itself. Gillon notes both Carl Stokes, the first African-American mayor of a major city, and his brother, Representative Louis Stokes, made our environment a prime concern. Mayor Carl Stokes was in office 50 years ago, when the Cuyahoga River fire turned the city’s polluted environment into national news. Although the 1969 fire wasn’t the first time the river burned, the attention pushed officials into combatting the filth flowing through its waterways. Stokes testified before Congress to get federal funding for cleanup, and he also doubled down on local problems. “If you examine the years he was in office and what was going in Cleveland, that’s when we were suffering from severe air pollution, water pollution. There were rats running everywhere. We were experiencing overcrowding. When he became elected, it was hitting him right in his face. So he stood tall and brought folks in to deal with all of those issues,” says Gillon. 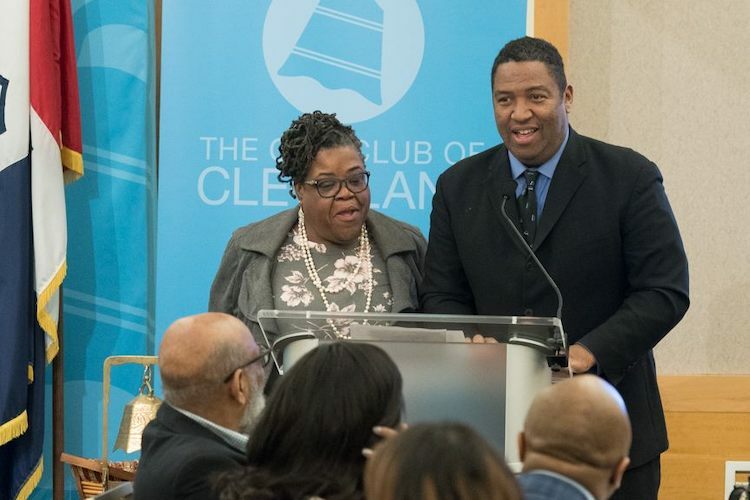 Whitley and Gillon plan to use Stokes’ approach as a blueprint for highlighting today’s environmental challenges as they affect Cleveland’s people of color. Attend Wade Oval Wednesday on June 19 and visit the Black Environmental Leaders booth. Learn more about the Sierra Club's efforts to implement environmental justice. Email Jacquie Gillon to see how you can get involved. Read more articles by Afi Scruggs. Afi Scruggs is a local freelancer and a Gerontological Society of America Journalist in Aging Fellow. Her diverse body of work spans more than 25 years and has appeared in the Cleveland Plain Dealer, the New Yorker, Cleveland Magazine, and the Atlanta Journal Constitution among many others. Visit her page for more information.